There is little point in creating a store cupboard if you are not going to make the most of it. Organizing can be the difference between wasting money, as you might not use ingredients before they expire their shelf life. Making them just something you need to throw away, or, the added benefit of utilizing a store cupboard, which can save you money long-term because you often buy things in bulk when they are on sale, saving you money on your shopping. Organize your store cupboard in a way that not only suits your needs but allows you to ensure that your stock’s being rotated in the proper manner, to ensure that best before dates aren’t missed. I like to separate my items out in my store cupboard, this allows me to know what items I will find on the shelves, there is space for tins, toiletries, fizzy pop, cleaning supplies and because I don’t have young children I also keep my spare medication in the store cupboard too. If I had young children about it would be kept on a top shelf in the kitchen, where it always used to be when my kids were small. The concept for me for a store cupboard is to not run out of the basics, ideally the minimum you want for each item you store in the store cupboard is one, when this gets removed you need to think about buying more on your next shopping trip. My store cupboard has shrunk a little over the last few years, I only have one child at home now so I don’t need to have so much stored, where before not only did I have my pantry I also used plastic boxes with resealable lids that I kept under my bed. Now that I no longer need 3-4 boxes of cereal a week and I now shop weekly instead of monthly, I have been able to reduce the stock cupboard down to just one large cupboard. This isn’t in my kitchen but my hallway and this I don’t mind, it keeps these items together and it keeps too much clutter out of my kitchen. Having a store cupboard has freed up space in my kitchen, it allows me to put appliances away in cupboards and not left out on the counter tops looking cluttered. I don’t use any particular storage containers, a well-stocked pantry will hold itself up saving me money again. It is important that you are not buying things and not bringing the older item to the front. Placing the older items at the front means they’re consumed first, reducing the chances of the items expiring before consuming. Even when I had stacks of different boxes of cereal the choices got restricted to the oldest boxes and not just something my children fancied eating next. 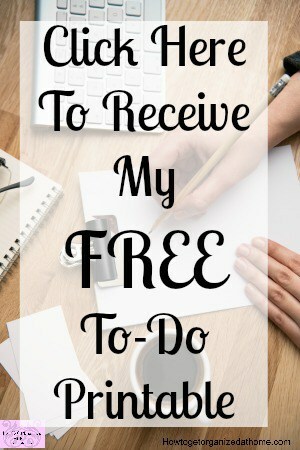 I began using a store cupboard so I could reduce the amount of time that I needed to shop, I have lived in small communities where shopping wasn’t always easy or practical, so when I shopped I needed to ensure we had enough food to last a reasonable amount of time, normally no more than a month at a time. Moving back to a more accessible place made the shopping process easier but I liked the idea of not having to deal with shopping unless I had to and for this reason, my stock cupboard survived. Therefore, if you are looking to organize your stock cupboard, then it is important that you consider the dates and to use these items before you have wasted your money. What you must consider is the size of your stock cupboard and the amount of food in relation to the amount of people living in your home, too large a stock cupboard isn’t doing you any favours, in essence it is probably costing you too much money; consider reducing your stock cupboard to a manageable size. It took me a while to teach the kids that the newer items go at the BACK and not just shoved in front, but I love my food storage area! No stress when I run out of something mid-recipe and I wait until I find a good sale on pasta sauce and then buy 12 jars of it. I rarely pay full price for shelf-stable items. Good tips! 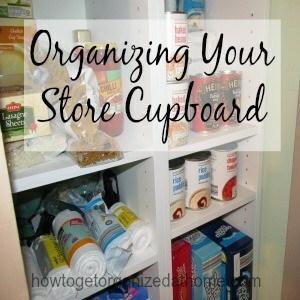 =) I also like to stockpile my cupboards. Doing my shopping is like a game; I enjoy buying things really cheap so I don’t have to buy them again for awhile!